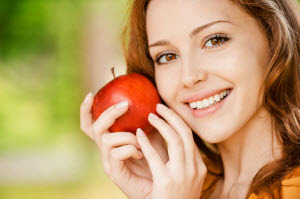 When it comes to making a good first impression or enjoying your favorite foods, a smile that possesses its full natural beauty and health has few equals. From poor hygiene to gum disease, keeping teeth in perfect condition is difficult. Dr. Martina Reynolds is experienced in restoring worn or missing teeth along with treating underlying oral health issues, rejuvenating patients’ dental function and appearance. A long-standing part of the community near West 57th St., our dental practice provides cosmetically-appealing dental crowns and bridges in Central Park and across Midtown Manhattan. There are several situations where Dr. Reynolds may recommend porcelain crowns as replacements for damaged teeth. Our dentist uses these restorations following root canal therapy, to complete dental implant treatment, or to repair an injured tooth. Beyond this, crowns are preferred when the dental structure has been compromised by large fillings. Zirlux® – Restorations created from this material are ideal for patients who experience excessive teeth grinding (bruxism), as these possess both great durability and a genuine aesthetic. At our practice, we give patients a one-year warranty when they receive Zirlux crowns. e.max® - While fully capable of withstanding typical bite forces, what sets this material apart is its exceptional luminescence and resemblance to healthy teeth. For this reason, our dentist recommends this option when restoring the most noticeable teeth in a smile. Dr. Reynolds ensures technicians have the information they need to produce restorations that meet her patients’ needs and expectations. Along with in-depth case information, she sends intraoral images and digital photographs taken from many different angles. To further guide the fabrication of a personalized crown, she asks patients to provide pictures from when they were younger and had their complete smile. For patients who have experienced tooth loss, there are cases where a fixed bridge is the most appropriate replacement option. When surgery is not an option, our dentist recommends this restoration as an alternative. Additionally, patients who smoke, have difficulty managing diabetes, or face physiological barriers to implant treatment may still benefit from a bridge. We offer traditional, cantilever, and Maryland-bonded dental bridges, based on each patient’s individual oral health situation. At your consultation, Dr. Reynolds takes the time to discuss each option with you, not only providing details to help you make an informed decision but also listening to your expectations. If a fixed bridge is the right choice for your immediate needs and long-term goals, it can take as few as three visits to obtain your final restoration. Let Us Improve the Quality and Health of Your Teeth - Schedule an Appointment Today! There’s no understating the value of a complete smile. By providing care to repair dental structure and preserve beauty, Dr. Martina Reynolds helps her patients enjoy lasting oral health. To learn more about restorative dentistry and your options for porcelain crowns and bridges in Central Park, Midtown, and nearby neighborhoods throughout Manhattan, call our office today and schedule a consultation.